today i want to tell you a bit more and i hope it is interessting for you. Like you maybe have noticed in the last month i’ve tried different mesh heads, but it never last long untli i changed back to my sl face cuz i just missed to wear different styles of make up. so i finally tped to catwa to give the Jessica head a try, thinking that i wouldn’t like the head too. I have to admit, was totally wrong! I liked the soft face from the first moment and was overwhelmed when i saw the hud. So if you hadn’t tried this head for now you maybe should give it a go it’s worth to have a look on it. A new round of The Epiphany is coming up on 12th of October and Cerberus Xing is participating so i show you today two of the gacha items (crown & collar) and the Halo which is and exclusiv item. The catch is there is a point system that allows you to actually get rid of duplicates in exchange for points. You can then save enough points to get one of the gorgeous exclusive items like the Halo from Cerberus Xing. Veröffentlicht am Oktober 7, 2015 Oktober 7, 2015 Katgeorien UncategorizedSchlagwörter -Glam Affair, ...::DeliciouS::.., .::C.C. 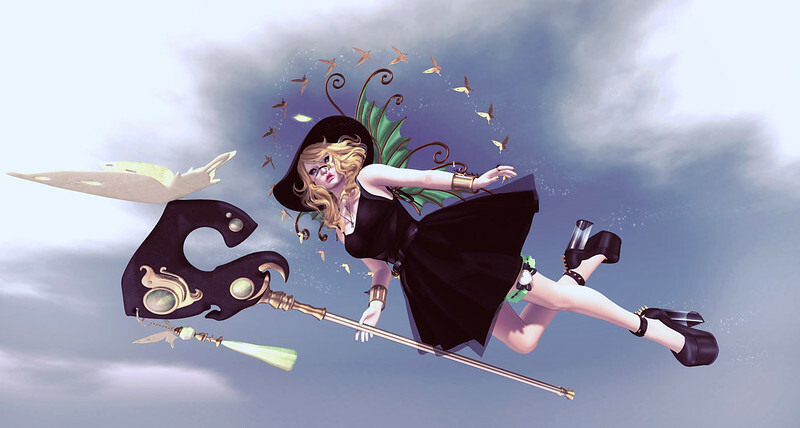 Kre-ations::., .aisling., Ama, antielle., Luas, Magika, Maitreya, News, Romp, Second Life, SL, SL Event, The Gathering, TTS, Uber, VCO, [CX], [Pink Fuel]Schreibe einen Kommentar zu No° 327 Master Please…. today i have a nice apocalyptical outfit for you. In fact i started this outfit with this pretty simple brandy dress from glam affair and the sawblade belt from cerberus xing was the one little piece that leaded me to this outfit. So have fun with my look and maybe it inspires you to dress up something in a way that hadn’t be seen before. I really was thinking about blogging the whole set , when i crossed about the folder with wimey Vixen of Destruction Gown for the Secret Affair. Normally there would be no chance to match these two pretty pieces, but since Violent Seduction works with fitted mesh for a while and Wimey uses standard sizes i could fit them to one pretty dress without any problems. I really love it when i could mix and match items in this way and i’m pretty happy when designer decide to do fitted mesh and standard sizes so i get the possibility to fit items together in this way.